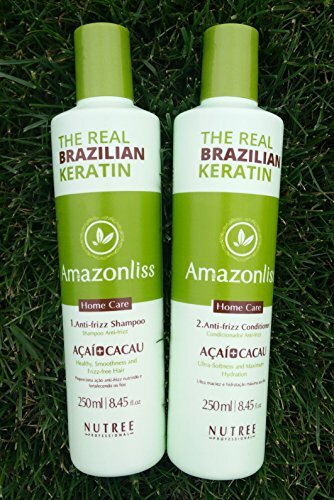 Amazonliss post-keratin shampoo and conditioner Home Care Brazilian Keratin After Care 2 product Set: Anti-frizz shampoo and Anti-frizz conditioner. Amazonliss Home care set shampoo and conditioner are uniquely engineered to as post keratin home treatment, preventing the keratin from washing out. Using this home care prolongs effect of keratin treatment. 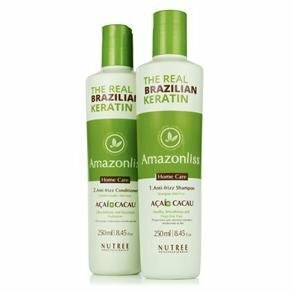 Amazonliss Home Care Brazilian Keratin After Care Kit contains 2 products: 1. ANT-FRIZZ SHAMPOO 250ml/8,45fl.oz An exclusive formula with Amazon Natural Ingredientes: Acai+Cocoa, works in the restoration and strengthening of the hair leaving strong and healthy, providing antifrizz action and extending the smooth effect of the treatment. 2. 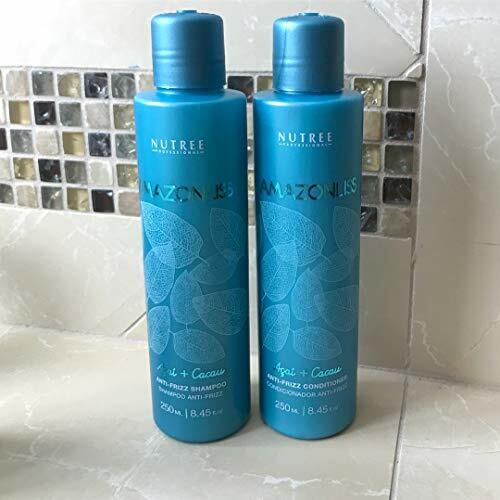 ANTI-FRIZZ CONDITIONER 250ml/8,45fl.oz Highly moisturizing action providing soft, shiny and healthy hair extending the smooth effect for a longer time. This set is works especially well with Amazonliss keratin, since home care.